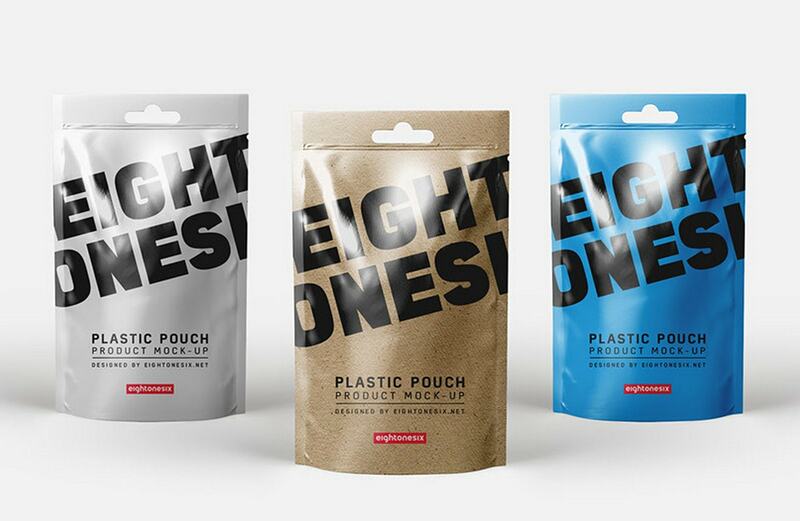 In the world of 3D mockups, the presentation comes in all shapes and sizes. 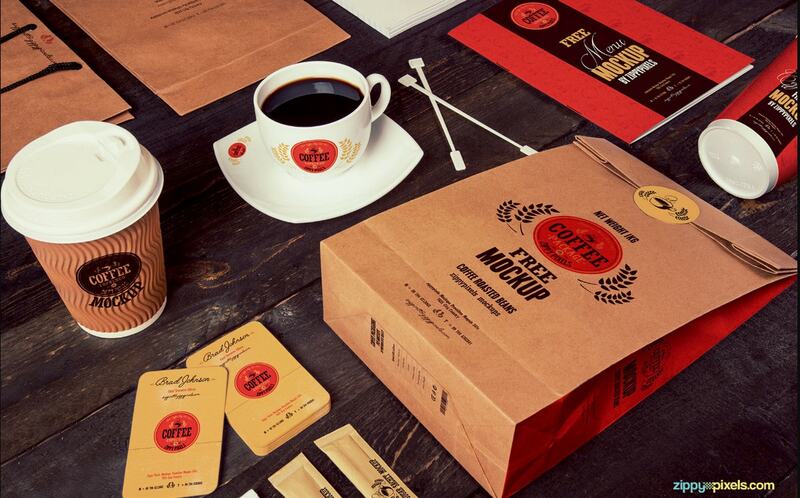 While we are accustomed to associating 3D objects with brand identities such as Modern Branding Identity Mockup Vol.2 or Coffee Branding Scene, they can be used for other purposes as well. For example, if you are running a small pizzeria, you can benefit from the highly realistic mock-up of a pizza box from Pixeden. Use it to win over clients with an appetizing design. 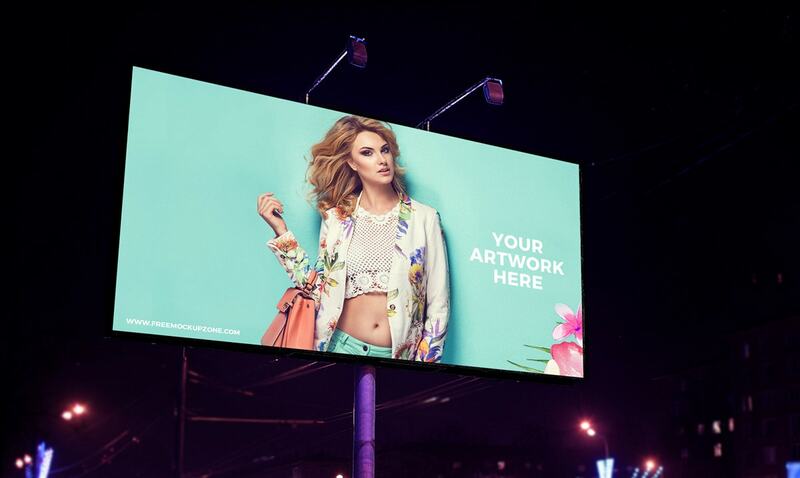 Or if you want to create a fully-fledged outdoor advertisement, you should add Night Scene Advertisement Billboard Mockup and Outdoor advertising mockup. They allow you to place banners inside advertising structures to make concepts feel realistic. 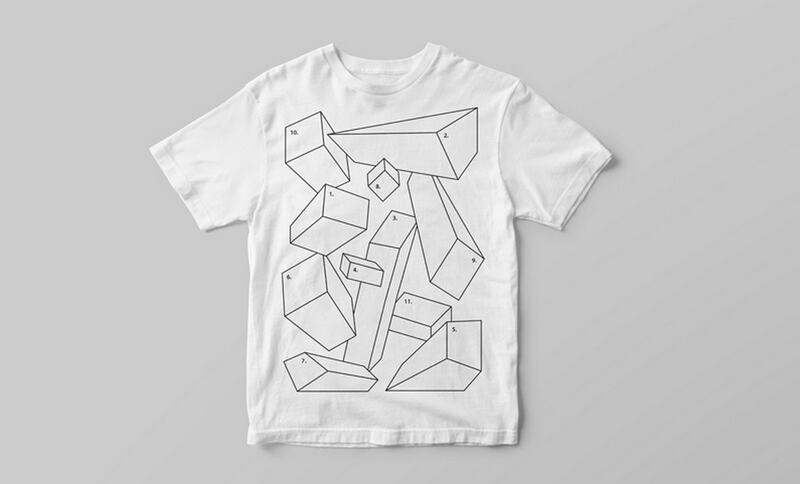 The fantastic freebie by Mr. Mock-up allows you to display art on a regular t-shirt. You are welcome to adjust colors and shadows as well as rotate it to find the better angle. 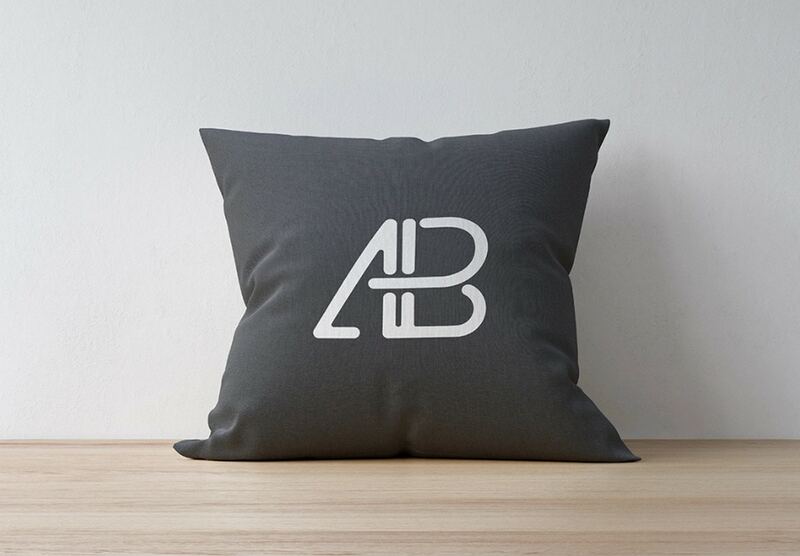 With the vigilantly crafted freebie by Anthony Boyd, you can show art in a neat pillow mockup placed in a businesslike surrounding. It has a huge dimension and is available in PSD format. 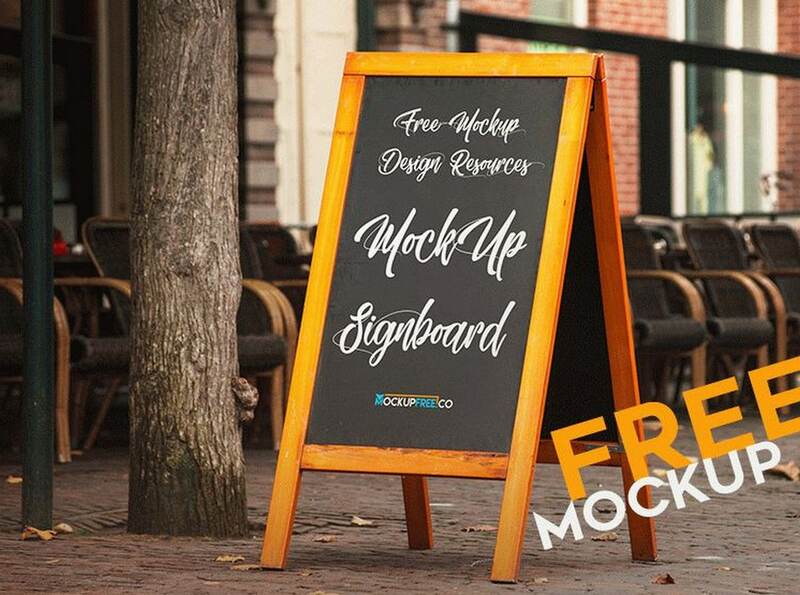 The photo mockup by Mockupfree has a carefully prepared central part for exhibiting your masterpiece. It is a fully layered PSD file that comes in a huge resolution. The variety of 3D renderings is astonishing. To cover the most popular representatives, we have split today’s collection into two parts: relatively small objects that can be found in interiors, offices, etc. and outdoor stuff. Artwork such as posters, calendars, wallpapers and others are usually demonstrated enclosed in frames. 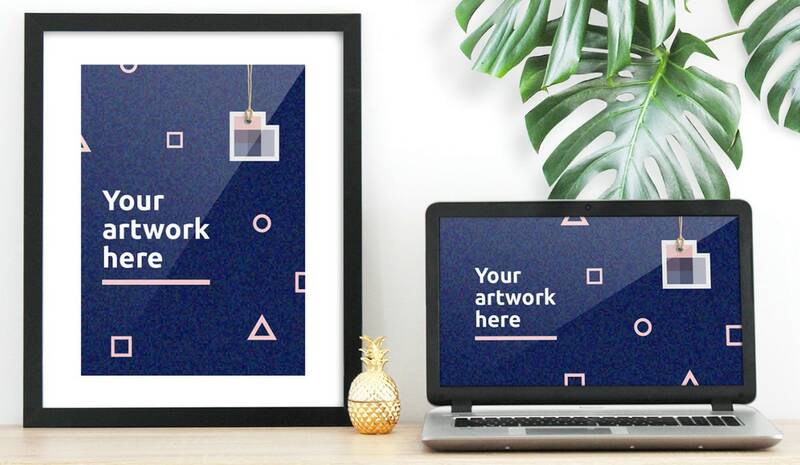 It can be a traditional picture frame that is great for promoting home or office decor or various gadgets that are ideal for selling wallpapers or brand identity concepts. Let’s consider freebie by Kamila Figura and freebie by Ess Kay. The first features a lovely scene with a poster and notebook placed in a harmonious composition with a businesslike vibe. The second is for those who need something huge and eye-catching. It shows a frame that is so big that it commands attention. Use it to advertise office-targeted artwork. Books are popular among various entrepreneurs. Along with disc mockups, they demonstrate educational material in a pleasant and habitual fashion, making it look like a product that comes from a shelf. 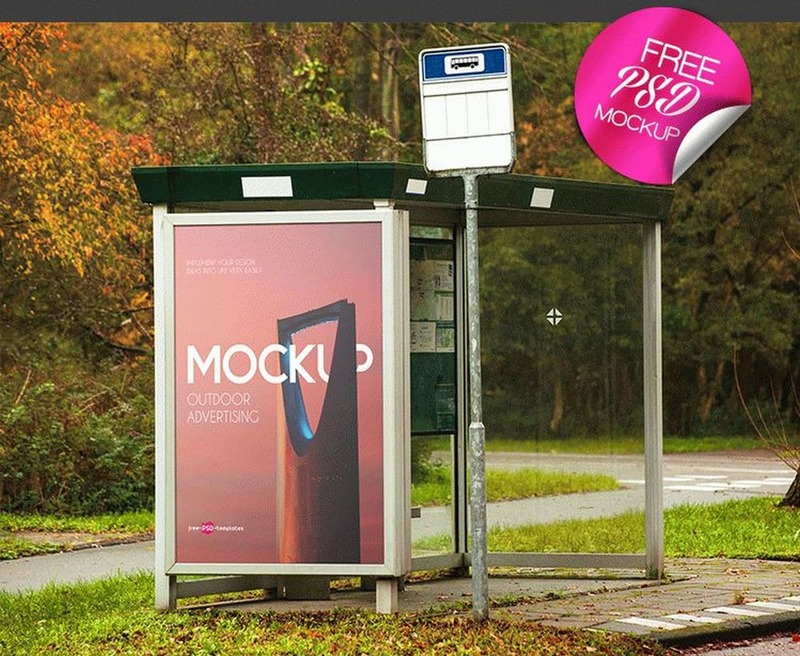 Here you can try the fantastic mockup by Pixeden. It is created with the help of smart layers that can be easily adjusted to your design. If you need to promote a pizzeria, use a mockup of a pizza box. But if you need to promote a tea or coffee-house then you certainly require realistic travel mug. 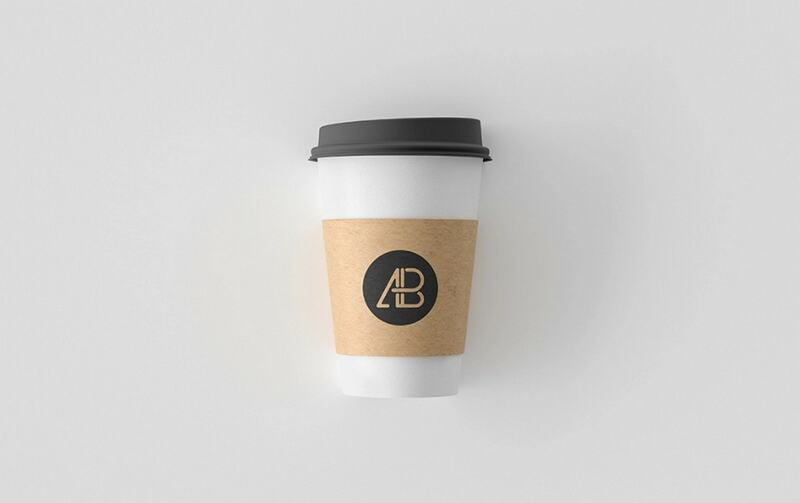 And we have one in our collection: Coffee Cup Mockup by Antony Boyd. It is a vigilantly crafted mockup. Open it in Photoshop and adjust it to your brand. 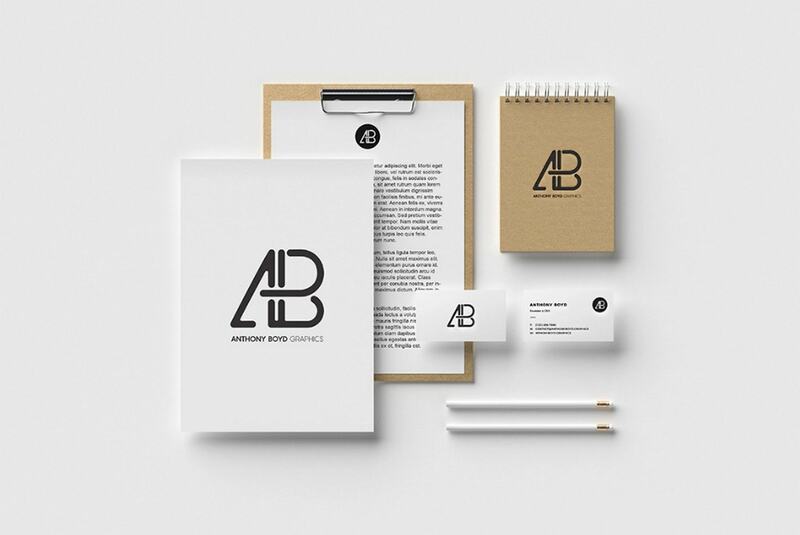 When it comes to brand identity, usually we showcase stationery because it is popular and essential for every brand concept. But there are more creative examples as well: If you need to create a concept for a craft brewery, local winery, or alcohol producer, then office supplies will hardly be of use. Bottle mockups come in handy. And there are quite a lot of them. Consider a freebie by Lstore Graphics. 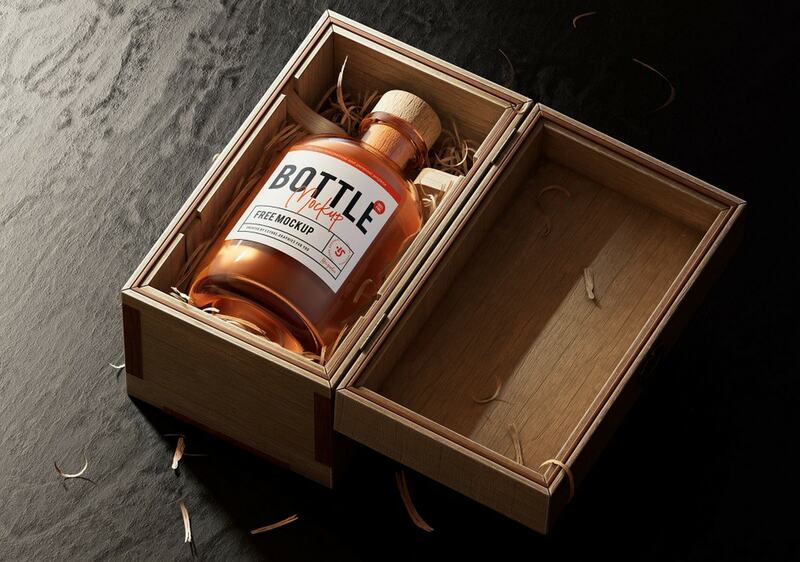 It is a highly realistic mockup of a bottle inside a wood box. Looks respectable. That’s exactly what you need for publicizing whiskey. 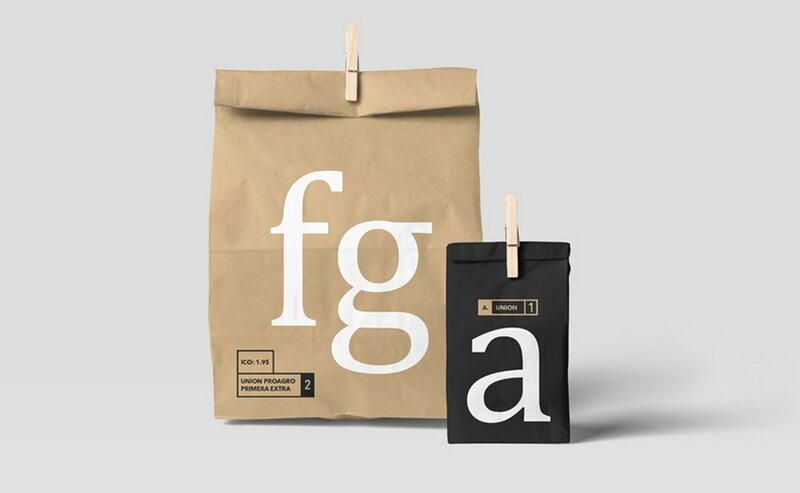 If your online store deals with granulated products, then bags for goods will help to create a perfect presentation. 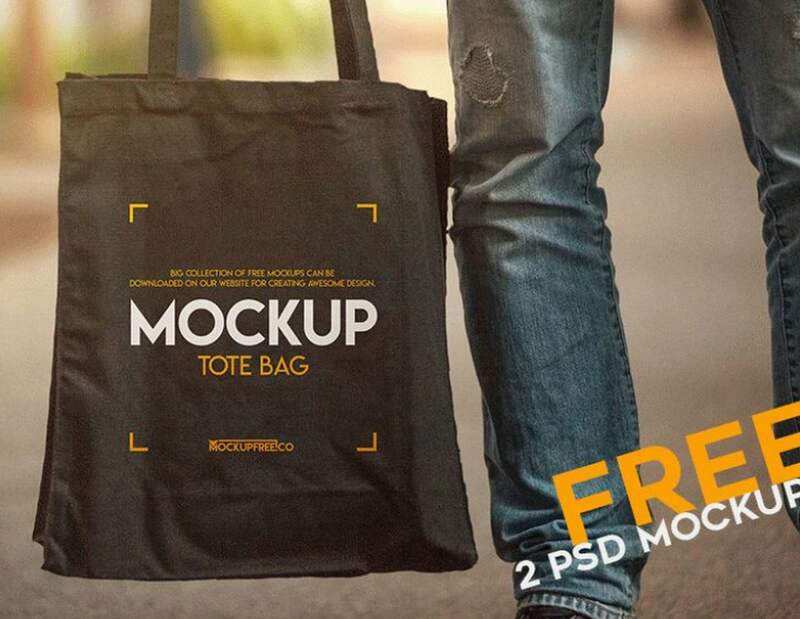 You can use Plastic Pouch Mockup or Paper Bags Mockup. The first looks glossy and shiny with a big area to show your brand; the second is a standard paper pack that fits numerous projects. 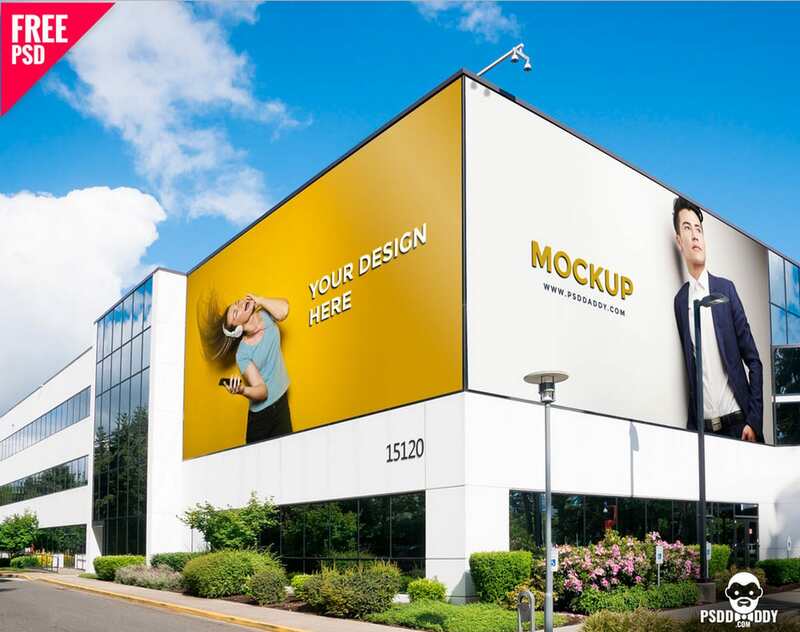 For displaying an outdoor brand identity, start with mockups like Window Sign and Swinging Shop sign. 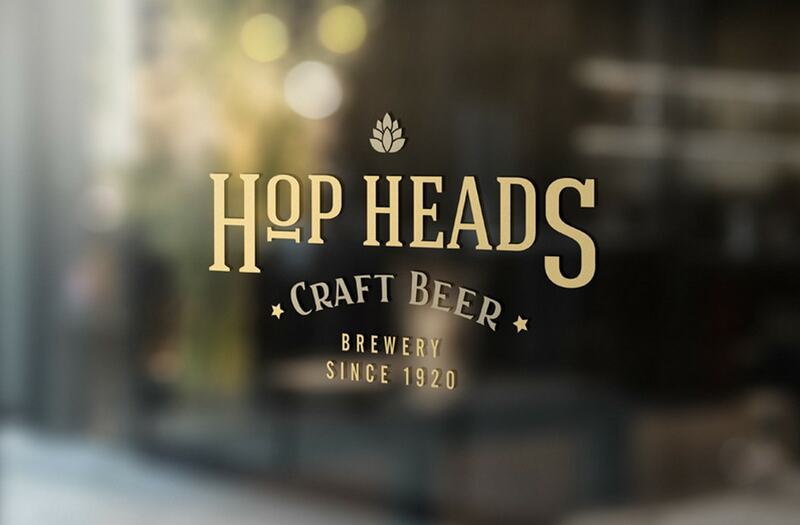 They display a nameplate or logotype of your restaurant or pub in a pleasant and natural way. Both freebies are made with the help of smart layers. You can change backgrounds, colors and typography quickly and effortlessly. Let’s go a bit further. 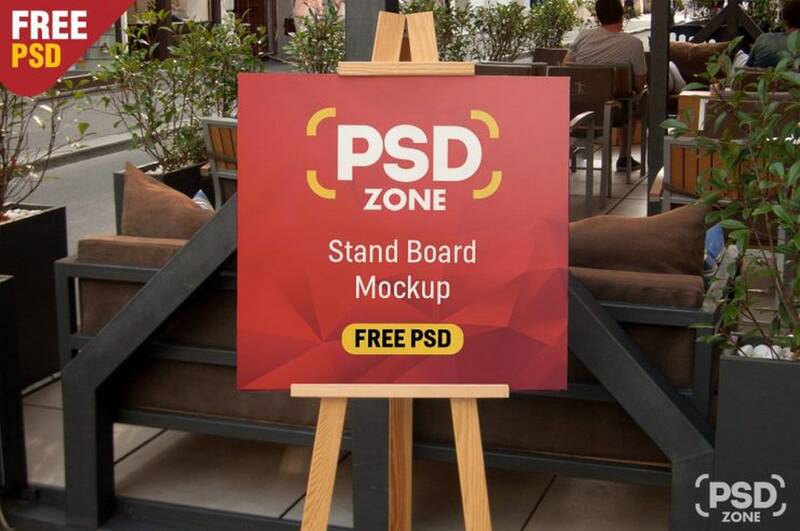 You can make use of high-quality renderings of stand boards. 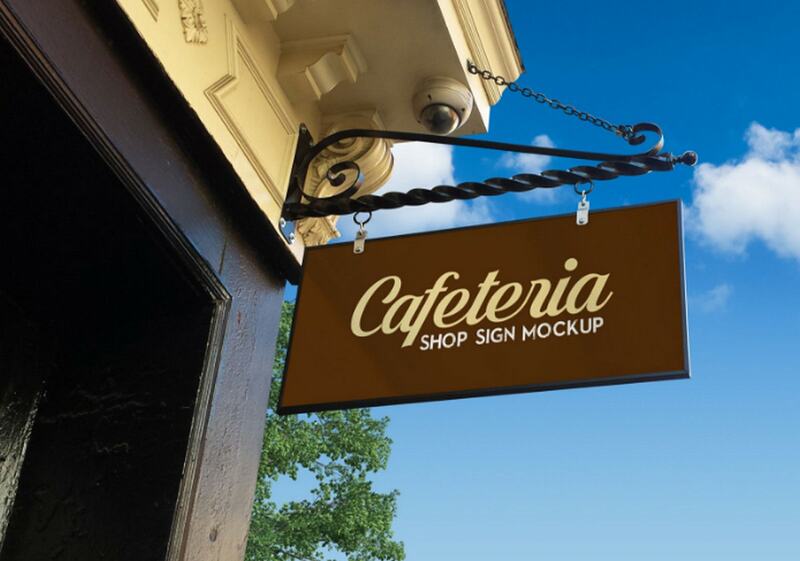 For example, if you need to create a concept of menu specials, consider Restaurant Menu Stand Board Mockup or Signboard. While the first was created for showcasing menus; the second can be used for other purposes, serving as a fantastic foundation for chalk-styled restaurant-themed art pieces. Like it or not, presentation plays a decisive factor for consumers. 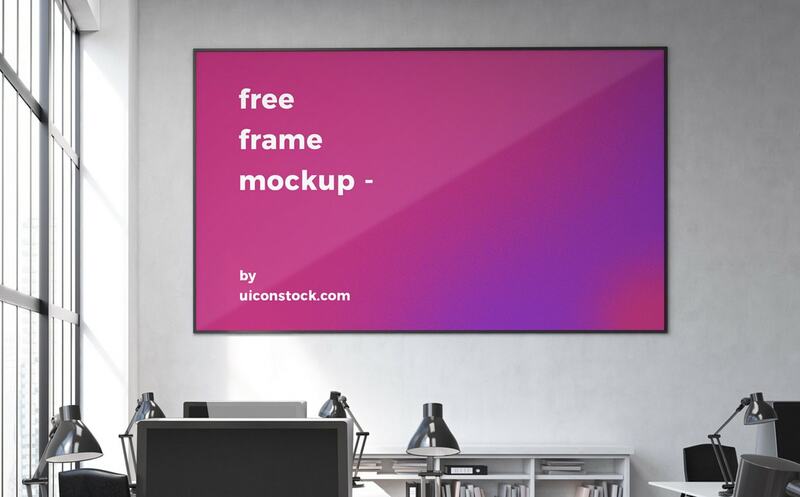 Behind each good presentation is likely a high-quality 3D mockup. They are bricks that provide solid ground for improving ad campaigns and promotions. These highly realistic renderings give you an opportunity to bridge the gap between the artificial and natural to make your product look real and presentable even online. What mockups do you usually use?